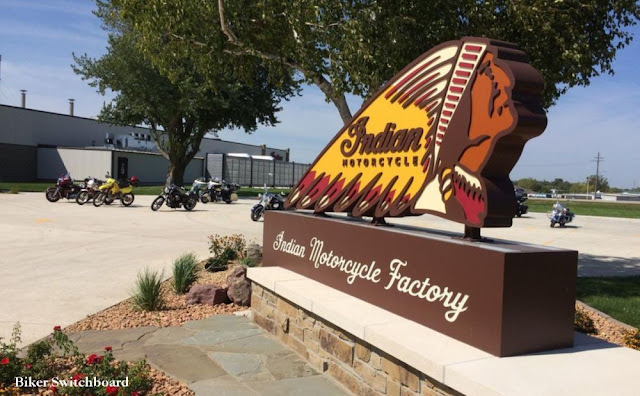 Spirit Lake, Iowa, USA (April 12, 2019) BSB — Spirit Lake Fire Chief Patrick Daly said crews responding to a Wednesday morning fire at the Polaris Indian Motorcycle factory were immediately confronted with heavy smoke, but the actual fire was relatively minimal. Firefighters were paged at around 10:15 a.m. the chief said, and entered the building soon after arriving. "At that time, we called in Arnolds Park/Okoboji, because we knew we needed more manpower and more (self contained breathing apparatuses) to get into the smoke," Daly said. "The building's so big, and you only have so much air. They came up to help us, and we finally got to the source of the fire." He said crews typically send firefighters in to situations in pairs, with another pair waiting outside in case something should go wrong. 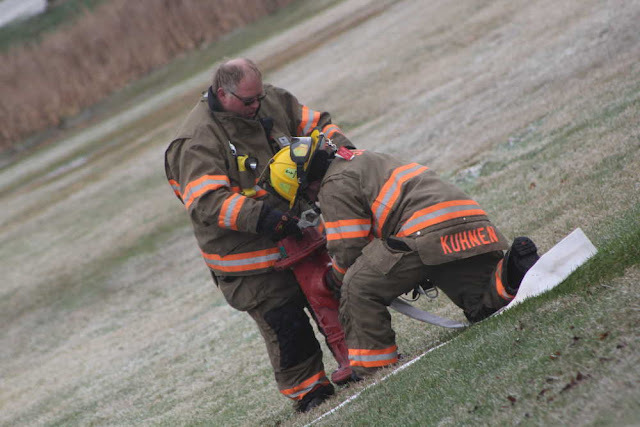 Wednesday's operation was large enough that Daly called the AP/O Fire Department for mutual aid and additional manpower. 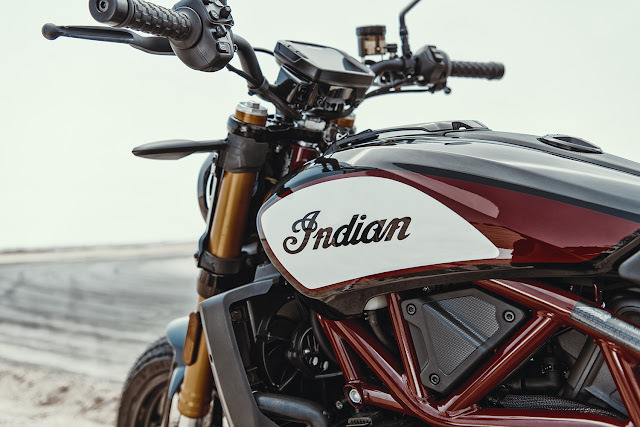 The fire chief said the flames were largely contained to the paint booth area of the motorcycle manufacturer's plant. The paint booth was being removed and the process sparked the fire as work was being done on the chimney section. "This morning, a minor fire occurred in a vacant section of our Spirit Lake facility," Polaris spokesperson Jess Rogers said, thanking the Spirit Lake Fire Department for its fast response. "The facility was evacuated. There are no injuries to report, and the facility will resume normal operations tomorrow." Daly went on to say the fire spread into the styrofoam insulation in the facility's roof, and firefighters ultimately cut a hole in the roof to stop the damage from spreading. "Once we got the styrofoam out, we could start venting the building," Daly said. "Actually, we had a really good breeze coming through there, so it was natural ventilation. Once we got in there, we could get right to the machine." The paint booth's own fire suppression systems were triggered, according to Daly, but couldn't stop all of the flames. "They had sprinkler system in there, but it didn't get up through the styrofoam where we were at," he said. "It put the fire out that was down below. It just made so much smoke you couldn't see anything." Daly said Dickinson County Emergency Management Coordinator Mike Ehret assisted on scene with the county's drone, which was fitted with an infrared camera. 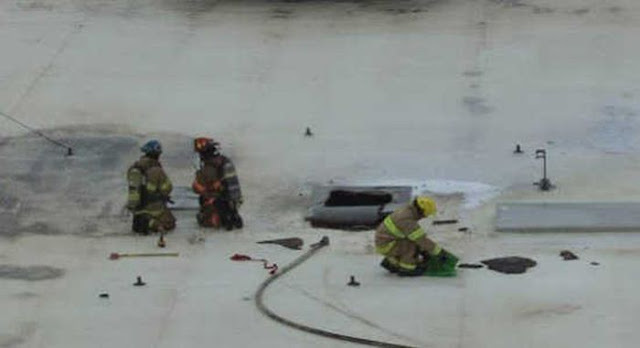 Ehret was able to provide firefighters with photos of the roof as they attacked the fire. Crews had the fire under control at around 1:30 p.m., according to Daly. "Polaris' evacuation system worked very well. Everybody was out of the building when we got there," he said. As of Wednesday afternoon, Daly said Polaris' maintenance staff was still ventilating the building. "It's pretty clear," Daly said. "But you can still smell it in there, so they want to make sure that's all out of there before they send their crews back in to work." From the Biker Switchboard Nation. Powered by Blogger.